Fort Leonard Wood trains soldiers in a variety of disciplines, operating the U.S. Army Chemical, Biological, Radiological, and Nuclear School, U.S. Army Engineer School, and U.S. Army Military Police School. Located in Pulaski County, Missouri, the Fort has been operating for more than 75 years. The nearest airport, Waynesville-St. Robert Regional Airport, is approximately three miles from the base for an easy trip to the post. Find information about Fort Leonard Wood, Missouri including the main commercial and DSN numbers for the base, information on basic services, base transportation, lodging for TDY and PSCing personnel, and inprocessing. The fort is home to the Maneuver Support Center of Excellence, plus the previously mentioned Army Chemical, Biological, Radiological, and Nuclear School, Army Engineer School, and U.S. Army Military Police School. Fort Leonard Wood trains and educates nearly 90 thousand troops a year. Fort Leonard Wood is also where non-combat arms troops will receive Basic Combat Training, plust Advanced Individual Training (AIT) for Motor Transport Operators and Chemical, Biological, Radiological, and Nuclear specialists. Advanced training for security forces also happens at Fort Leonard Wood. There are actually “two” Fort Leonard Woods in Army history; the same name was used in 1928 to redesignated Camp Meade (originally a temporary site) when it was determined the camp should become a permanent base. Pennsylvania lawmakers challenged this-the fort’s namesake George G. Meade was known as the “hero of Gettysburg”, and being from Pennsylvania, there was a concerted effort by lawmakers there to change the name back. The result is that the name “Fort Leonard Wood” was available more than a decade later when Fort Leonard Wood broke ground in 1940. At the time that groundbreaking was for something called the Seventh Corps Area Training Center but in 1941 the War Department designated the installation as Fort Leonard Wood. The fort is named after a 40-year veteran who once had Teddy Roosevelt serve as his second-in-command in the Rough Riders. Leonard Wood was the Army Chief of Staff between 1910 and 1914. The original idea for the fort was to train infantry, but engineer training soon became part of the mission with the creation of the Engineer Replacement Training Center. During World War Two, Fort Leonard Wood housed Axis prisoners of war. Much later, the fort would benefit from Base Realignment and Closure Commission decisions; in 1984 a large portion of U.S. Army Engineer School operations were consolidated there. 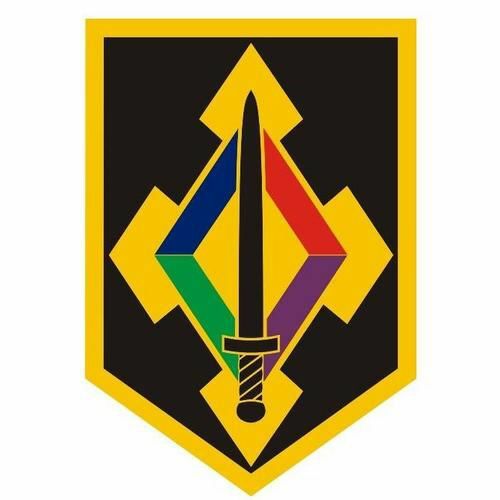 In 1999 Fort McClellan, Alabama was closed, and Fort Leonard Wood inherited the U.S. Army Chemical Corps and Military Police Corps missions, redesignated as the U.S. Army Maneuver Support Center. The Fort Leonard Wood official site points to a growing multi-service operation; today it supports both a Marine Corps Detachment and an Air Force Detachment, both said to be the largest operations of their type on an Army post. There is also a Navy Seabee Detachment and Coast Guard troops also train there. The fort is in the central part of Missouri, which gives those assigned to the post access to Missouri resort destinations, biking and hiking trails, and the historic town of Sedalia, which features annual events including the Scott Joplin music festival, the Missouri State Fair, and much more. The central region includes Missouri wine country, nearby Jefferson City is home to the state’s capitol, and the Lake Of The Ozarks offers plenty of outdoors fun for those who enjoy the water. Fort Leonard Wood is roughly two hours away from St. Louis, Missouri, which is home to professional sports including the St. Louis Cardinals and the St. Louis Blues professional hockey team; it’s also a premiere destination in the area for concerts, the arts, fine dining, and travel thanks to the major airport in the area, Lambert International Airport. To the south a little over two hours away you can reach the Oklahoma state line, with Tulsa not far from there. Check-in for soldiers during duty hours is held at the Central In- and Out-processing Office in Dillard Hall. Soldiers arriving after duty hours will report to the Fort Leonard Wood Emergency Operations Center, call 573-563-4045 for directions or more information. Navy new arrivals report to the Navy Detachment, after duty hours call Duty Personnel at 573-596-0488. New Marine Corps arrivals during normal duty hours report to the Marine Corps Detachment personnel section in Building 1705. Marines who arrive after duty hours report to Building 1770. Air Force personnel will report to their gaining unit or school on the first official day of training. The gaining unit will specify what paperwork and documentation is required for check-in; those arriving at the Fort TDY for school or duty must follow any instructions given by the school or training facility for arrival, check-in, etc. Call the Medical Appointments line to schedule a visit at (866) 299-4234. Fort Leonard Wood is served by three Child Development Centers, offering care for children six weeks to five years. Full-time care and part-day care are available. A waiting list may apply, and those with orders to the Fort are encouraged to contact the CDC as soon as the new assignment is known or there are orders cut. Fort Leonard Wood has limited Family Child Care (FCC) options for alternative care in private homes on post, but the fort also features a volunteer child care option known as “Volunteer Childcare in the Unit Setting” described as free child care provided by the family members in one military unit on an exchange or barter basis. Call the Child Development Center of Fort Leonard Wood at (573) 596-0197 for more information on waiting lists, costs, and requirements. All personnel inbound to Fort Leonard Wood are directed to track and manage their household goods shipments via Move.mil, which is the official site of the Defense Personal Property Management System. You can also contact Fort Leonard Wood Inbound TMO/Household Goods Office for assistance with shipments and more at (573) 596-0932. Dillard Hall is where DEERS/ID card services are administered, and no walk-ins are permitted. Appointments can be scheduled via the RAPIDS scheduler and valid ID is required for services. Military members are required to accompany their dependents at all times unless the family member has a power of attorney authorizing ID services on behalf of the service member. Another option is to present a DD Form 1172-2 “that is generated by a DEERS/ID Cards Facility”; a Common Access Card is required to complete this form online using RAPIDS and must be generated 30 days prior to any appointment where applicable. Other dependents such as parents, in-laws, etc will need an Approved Dependency Determination (renewed every four years) from Defense Finance Accounting System. Birth and marriage certificates may also be required. Immunization and registration procedures may vary depending on the district and the age of the students registering; it’s best to call the Fort Leonard Wood School Liaison Officer to discuss needs for the specific school district you wish to send have your children registered in. Call (573) 596-0357 for assistance. On-post housing is privatized; Balfour Beatty Communities operates on-post military housing for families. There are no permanent party Bachelor Officer Quarters at Fort Leonard Wood. Unaccompanied troops in the ranks ranging from E1 to E3 are given housing in Specker Barracks. Unaccompanied E4s and E5s are also assigned on-post living quarters. All unaccompanied personnel E6 to E9 must reside off post. It’s important to note that “unaccompanied” in this case means “unmarried” or “without dependents”. Those who have dependents but did not bring them to Fort Leonard Wood are required to reside off post. Temporary lodging on post is provided by IHG Army Hotels is located in the Soldier Service Center. Reservations are allowed in advance at 573-596-0999 or toll free 1-800-677-8356. Pets are allowed in eight post lodging facilities on Community Drive but there is a waiting list in most cases. PCS season and training school schedules may seriously affect the availability of temporary lodging at Fort Leonard Wood depending on demand, mission requirements, etc. It’s best to call ahead as far in advance as possible for best results. Those PCSing with families can make reservations 60 days in advance. An on-post shuttle system is available during regular duty hours. There are taxis and commercial shuttle services available from area airports as well as ride-sharing services such as Uber, Lyft, etc. depending on demand and local regulations. Operators of farm tractor or implement on a highway for agricultural related purposes. Out-of-state commercial drivers who have moved to Missouri within the last 30 days.